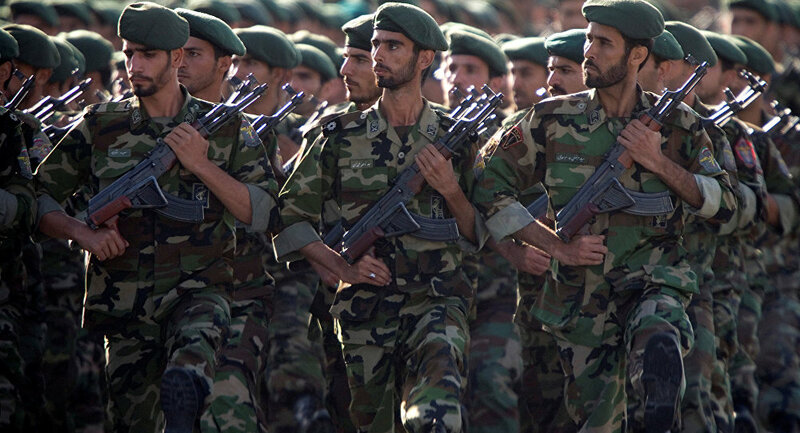 The chief of the Iran Revolutionary Guards has reportedly vowed to equate the US Army with Daesh if the US puts them on the terror group list. Mohammad Ali Jafari also stated that the United States was wrong about the pressure it put on Iran while negotiating on regional issues, Iran's Tasnim news agency cited the Guards' commander on Sunday. Ali Jafari warned the United States against imposing new sanctions against Iran and withdrawal from the Joint Comprehensive Plan of Action (JCPOA), reminding of the possible consequences. On Thursday, the Washington Post newspaper reported that US President Donald Trump intended to "decertify" nuclear deal with Iran next week. According to the newspaper, Trump is expected to deliver a speech on October 12, when he opens the door to modifying the agreement as part of a tougher approach toward Iran. Under the terms of the current nuclear agreement, Trump has time until October 15 to certify Iran's compliance. Speaking at a meeting of the IRGC on Sunday, Jafari said that the possible introduction of new anti-Iranian sanctions would mean the US withdrawal from the JCPOA and that Washington would then have to relocate its regional bases out of the reach of Iran’s missiles, which have a range of 2,000 kilometers (about 1,240 miles), the Tasnim news agency reported. The opportunity for further cooperation between the two countries would disappear forever in case the sanctions are introduced, Jafari stressed. On Saturday, Iranian President Hassan Rouhani said that neither Trump nor "tens of other Trumps" were able to take back the benefits that Tehran received from the JCPOA. At the end of July 2017 the US imposed new sanctions on Tehran targeting its ballistic missile program. Iran responded to the US' unilateral move by increasing the funding of the program. After Trump's first ever speech at the UN General Assembly which contained accusations and harsh rhetoric toward Iran, Tehran unveiled the Khorramshahr ballistic missile during a military parade dedicated to the annual Sacred Defense Week. For the sake of detente, Iran has long tried not to take any measures that could disturb the opposite side, and expected the lifting of all financial and economic sanctions in return. On September 21, following a ministerial meeting at the UN on the Iran nuclear agreement US Secretary of State Rex Tillerson admitted that reports from the International Atomic Energy Agency(IAEA) show that Tehran is acting in compliance with the nuclear accord.